We sell aluminium ramps with foldable handrails manufactured to your requirements. This range consists of Pedestrian and Vehicle Ramps to be used at a gradient of 8%. They are ideally suited for use in industrial, commercial or construction environments. You can buy these ramps at off the shelf sizes or built to personal specifications. 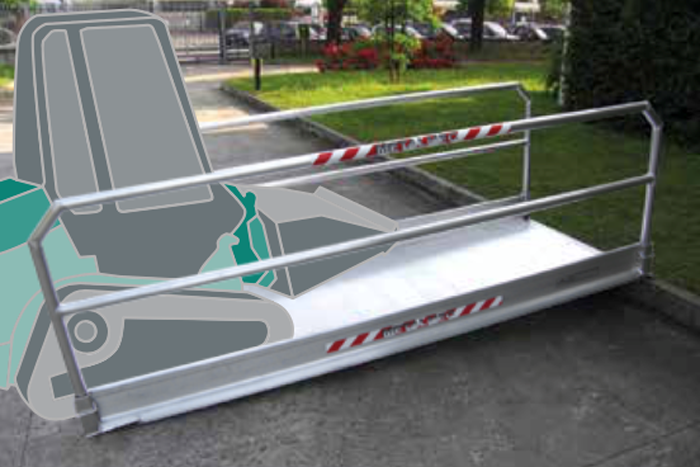 Designed mainly for use in industrial and construction areas, these ramps offer increased safety and security to your work force or pedestrian users. 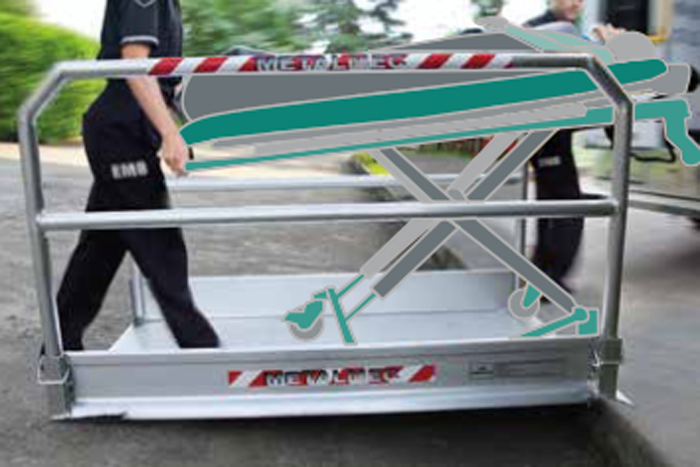 The maximum capacity of 400kg and range of available lengths from 990mm to 5790mm allow for this ramp to fit into any construction site and help in bridging height differences of up to 460mm. We also have vehicle ramps with folding handrails, available in the same length options of 990mm to 5790mm and usable to the same load height of 460mm. These ramps have a capacity of up to 4500kg and are available in 1000mm internal width and 1250mm internal width. Both vehicle and pedestrian ramps are easy to set up and feature handrails that can be folded in on themselves for easy transportation. They can also be removed completely to suit individual requirements. Please be aware that these ramps are only suitable for a maximum gradient of up to 8%.